Juventus continue to open the gap at the summit with the Old Lady now a colossal 18 points clear of the pack. Napoli were the only team to offer any sort of genuine title-challenge but I think it’s fair to say, the Scudetto will remain in Turin for a record eighth consecutive season. That’s enough about that, let’s find out what’s good on the betting front! Cagliari have been inconsistent in recent weeks but have shown good form on home soil with back-to-back wins. Fiorentina are without a win in their last three games but they showed an impressive fighting spirit last time out against Lazio at home, playing to a 1-1 draw. The last four meetings between these sides have proved less than entertaining but I’m my money is on goals here. The Totals – Over 2.5 Goals – market is tipped at 21/20. Sassuolo are winless in their last six matches but were solid and organized last weekend as they held Napoli to a 1-1 home draw. Sampdoria have been dismal with four losses from their last six games and will be desperate to turn that form around. I’m expecting both teams to have a proper go here. Take Both Teams to Score – Yes – at 15/20! It looks well worth a punt. SPAL have lost four of their last six matches, including two defeats on the bounce. Roma have been excellent in recent weeks with four wins from their last five games but their away form has been dodgy to say the least. SPAL won the reverse fixture with a surprise 2-0 victory at the Stadio Olimpico so you can expect Roma to come into this contest with a point to prove. The away win is tipped. Torino are unbeaten in their last seven games with five wins, including three on the spin. Bologna are off the back of a 2-0 home win over Cagliari but have travelled terribly with just one win from 14 games. The Maroons have won the last three meetings at home against Bologna, scoring 10 goals and conceding just once. Back Torino and add to all multiples. Genoa have struggled in recent weeks, managing just one win from six matches. 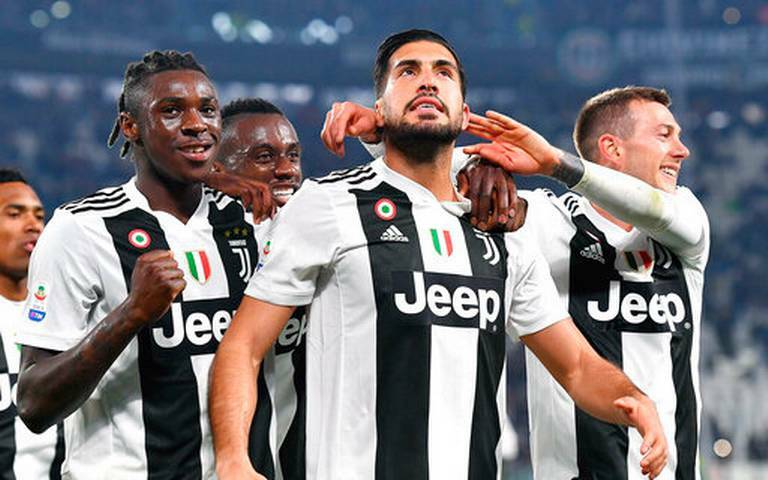 Runaway leaders Juventus remain the only team unbeaten in the league, winning 24 of their 27 games, scoring 59 goals and conceding just 17 times. The Old Lady are 18 points clear at the top of the table and might just take their foot off the peddle but they haven’t done that just yet, so there is no need to make that presumption now. Back Juve to come away with all three points. Lazio have won back-to-back games at home, scoring four goals without shipping any. Parma ended a winless run of six matches last time out with a hard-fought and well-deserved 1-0 home win over Genoa. It won’t be cut and dry but I’m expecting the hosts to bag all three points. However, Parma should at least find the back of the net. Take Lazio on the Matchbet & Both Teams to Score – Lazio + Yes – at 7/4. Empoli are coming off a hard-fought 2-1 defeat away to Roma, where they showed a lot of guts and determination. Second from bottom Frosinone are without a win in their last four matches, including three defeats. The Azzurri are undefeated in their last three home matches but are leaking goals left and right. Get on the Both Teams to Score – Yes – market at 9/10. Atalanta have been impressive of late with back-to-back victories. Basement-dwellers Chievo have registered just one win all season, scoring just 20 goals and conceding 53 times in the process. With poor form such as that, I can only see one winner. Back La Dea on the (-1) Handicap at 13/20 for value and if you looking for a banker, the straight Atalanta win looks ripe for the picking. Napoli have been nowhere near their best in recent weeks with just one win from their last five matches. Their chance of them catching Juventus at the top of the log is slim to none so it’s all about pride and finishing strong with 11 rounds to go. Udinese have travelled poorly with only one win from 12 games, scoring nine goals and conceding 19 times. Take Napoli on the Half-time/Full-time win at 7/10. The final game and match of the weekend will be contested at the San Siro with one of the biggest rivalries known to football, the Milan Derby. AC Milan are unbeaten in their last 10 league games, while Inter Milan have been inconsistent in recent weeks. Just one point separates these sides so you can expect a cagey affair. The sides are tipped to cancel each other out.